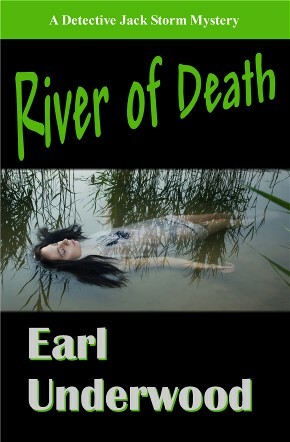 River of Death is available for purchase in softcover on Amazon.com. It's also available for Kindle e-book on Amazon.com. When young women begin showing up dead in the Miami River and in canals bordering Okeechobee Road in Hialeah, Detective Jack Storm teams up with Leo Sharp to find the serial killer before he strikes again. The investigation soon turns personal when Linda Ward, a crime scene investigator and friend of Stormy, is taken hostage. Will Stormy and his partner, Dakota, be able to rescue her in time? Or is she already another victim? The clock is ticking, and the leads are few. Newly promoted homicide detective, Nickie Young, manages to find herself in the middle of more action than she expected. Evidence of a high-profile, female assassin in Miami brings FBI Special Agent Brenda Skipper to town. She teams with local Special Agent Larry Foresman to hunt her down. Little do they know they’ve stumbled into the middle of a major jailbreak attempt. Prepare to sit on the edge of your seat as Stormy, his team, and the FBI work to capture a serial killer and a prolific assassin. Shoppe Foreman is the business website for Shoppe Foreman Publishing operated by Larry Foreman. You may contact us by e-mail at LForeman5@cox.net or by phone at 405- 509-1612.